Sailing yacht "Philkade" is a 37.34m (122.5 feet) luxury sailing yacht. She was launched in 1986 by Sensation Yachts in New Zealand refit in 1995/2009 and just completed another refit in 2016. Dubois Naval Architects were the naval architects, and to no surprise the yacht is a proven performer under sail, and the interior layout makes excellent use of space in a contemporary way, offering accommodation for six guests and six crew. The raised deck saloon has become a Dubois trademark. The stern with the symmetrical steps has won many acclaims and is great for entertainment at anchor. The interior design emanated from the drawing board of Bob Milhous and Edward Meayers. 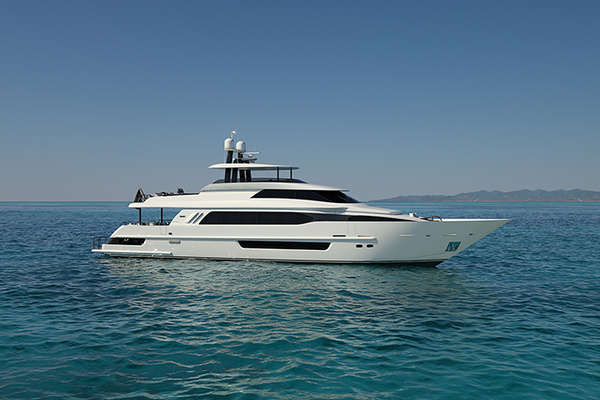 High grade aluminum was utilized to fabricate the superyacht hull. The draught in metres is 5.85 (19.2 ft) and the widest beam in in metres is 7.62 (25 feet). The material above her decks utilized is mostly aluminum and GRP. "Philkade" can steam with a economical cruising speed of 12 knots giving a range of around 2750 miles. Her full range is enabled with her 29500–litre tank capacity. This is a rare opportunity to own one of the finest sailing yachts in the world with twin engines allowing another level of confidence while at sea at a fraction of the cost. More information available upon request. 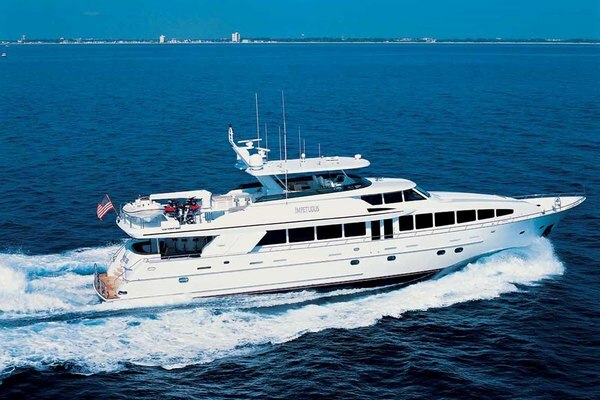 United Yacht Sales New Jersey would love to guide you through a personal showing of this 122' Dubois Sensation 1986. This yacht for sale is located in Thailand and priced at $2,454,043. For a showing please contact us by filling out the form on this page and we will get back to you shortly! - All bilges have been scraped, and repainted - The 2 Northen light generators have been rebuilt in November 2016 -PTO's on Gensets rebuilt -The Saloon is now fitted with a Smart TV -Italian importedleather Sofa - All guests cabins installed new flooring (oak wood), new headliners, newelectrical fittings / air cond controls, new mattresses,.... - All bathrooms are completely new with teak flooring, new Aluminiumcomposite walls, new bathroom fittings (taps, shower heads,...) - The air conditioning system has been completely refitted with newelectronic controls, all air handlers serviced/rebuilt. - LED lighting in all rooms/cabins in Guest and crew area. - Boom Vang ram rebuilt - Teak in swimming platform repaired. Rigging Detail. The mast and boom are carbon fibre and painted white; coatings were intact and in good condition as is required to prevent UV damage to this material. The mast is a 4 spreader rig and rod rigging is used consisting of; • Fore and aft lowers • Continuos cap shrouds • Discontinuous diagonals, D2, D3 & D4 • Single backstay hydraulically tensioned, insulated for use as HF radio antenna • Forestay and inner forestay • Running backstays Numerous lights, camera, radar, antennas and horns/hailers are fitted. A stainless steel cradle is fitted to the foredeck for the centre consul RIB tender stowage and is lifted via the hydraulic system. The mainsail, (in mast furling, infinite reef points) and associated lines and fittings are in good condition. The headsail system, (genoa and staysail) is hydraulically powered as are the windlass and sailing machinery which include captive Barient winches.